Under the Law 14/2013, of 27 September, on support for entrepreneurs and their internationalization, individuals who make a capital investment in Spain may be eligible for a residence visa. 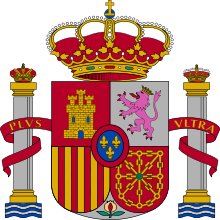 You may obtain a residence visa, and afterwards a residence permit, if you deposit at least €1,000,000 in a savings or fixed deposit account in a Spanish-based bank or financial entity, or you invest the same amount in investment funds, closed-end investment funds or venture capital/private equity funds established in Spain. The residence visa is valid for 1 year, during this year you may apply for a temporary residence permit which will be valid for 5 years, provided that you still keep the investment. Your spouse and your unmarried dependent children may be included in the application. To maintain your residence status, you will be required to visit Spain at least once per year. Note that the 1-year residence visa does not count in this 5-year period. For residents under this scheme, no physical residence or place of abode is required to apply for a PR status. -	Lack of criminal record in Spain and in the countries where he has resided in the last 5 years, for crimes foreseen in the Spanish legal system. -	Have public insurance or private health insurance arranged with an insurer authorized to operate in Spain. -	Sufficient financial resources for yourself and your family members during your period of residence in Spain (monthly income of €2,130, and additional €533 per dependent). If required, we will provide you access to our network of financial advisors in Spain to find the investment opportunity that best suits your needs. We will handle your ordinary visa application to come to Spain, and introduce you to Spanish banks in order to open a bank account and make the required deposit or transfer your funds to an investment fund. Once you provide the application form completed and supporting documents, application must be submitted to your country residence closest embassy or consulate, or directly in the Ministry of Interior’s Immigration Department in Spain. You may choose between submit the application personally or let us do it for you. The application should be processed in a maximum period of 20 days. After your application is approved, you may come to start your residency permit procedures. Our lawyer in Spain, will guide you through this process. For further information on Spanish residency by investment and detailed procedures, contact us for a free private consultation.